My cousin (and Hello Gorgeous employee!) 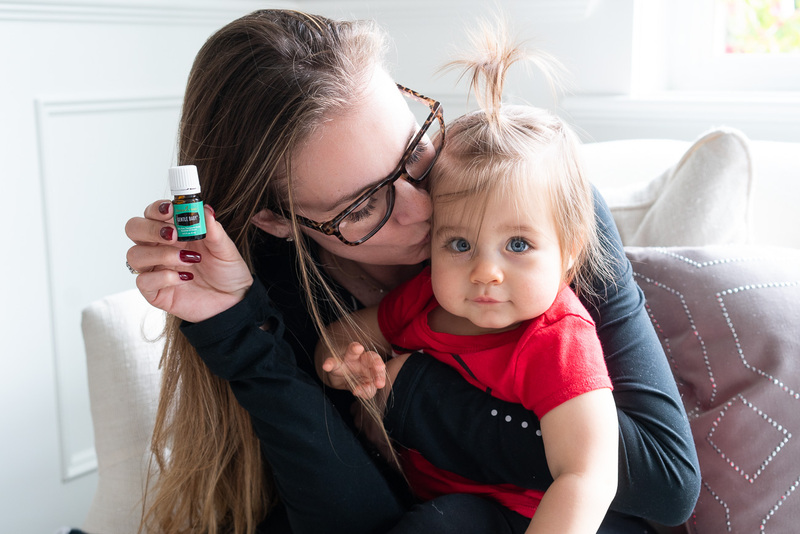 Jen began selling Young Living in 2017. She became such a fan of EO’s, so I thought I would also give them a try. Right before Little Miss made her grand entrance into this world, I purchased my starter kit. Needless to say, life was a bit crazy, so I was slow to get acquainted with my new purchase. I had been using lavender, tea tree, eucalyptus and olbas oils for years, but other than that, I was totally clueless. Oh, and skeptical. I was totally skeptical that they would hold up to all the praises I had heard. To be fair, essential oils are used in a ton of products that I already used in my everyday life. Products like hand soaps, perfumes, candles, etc. I switched to natural deodorant and natural toothpaste a while back, so why wouldn’t I take the plunge and give essential oils a try? I first started really using oils on Kenny girl. We began with lavender (diluted with a carrier) on her feet at bedtime. It became a part of her bedtime routine. As she got older, we started to introduce other oils, like Thieves and Gentle Baby. When MacKenlee got sick for the first time back in June, we went to town with Thieves on ourselves trying to prevent it from spreading. I did catch a small cold, but miraculously Matt never did get sick. That’s when he became a believer in these magic little bottles of oil. Soon after, I started really putting my starter kit to use. I began using oils, making my own blends and diffusing in most every room in the house. Matt had hurt his neck over the summer, so I looked up which oils to use and created a muscle rub that is now a Lanter house staple. The day after I filmed this video, the starter kit was updated. The kit I received and talked about is still available. I talk about all the oils in the below video and give a quick run down of what I use each oil for. If you couldn’t tell, oils are my jam. Why? Because they work. I have seen them actually work for my family. Finding a natural way to treat ailments that plague my house has been so exciting for me. Growing up, I read about oils in the Bible, so I love having access to those same oils that have been trusted since the beginning of time. 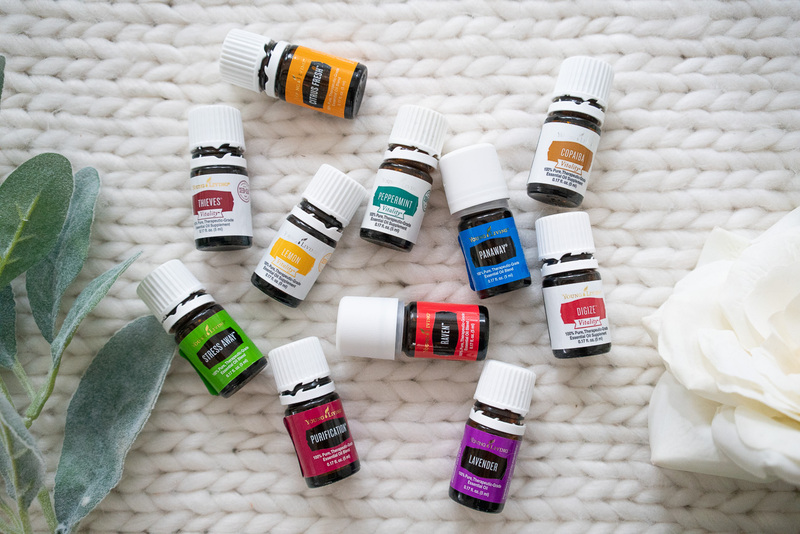 I use oils in my home in so many different ways and for so many different reasons. We diffuse, apply topically, ingest, add to our products, use them on wool balls in the place of dryer sheets, and so. Much. MORE. Why Young Living? When buying oils, you can easily end up with a diluted product that is loaded with added chemicals and fillers. Essential oils aren’t regulated by the FDA, so anyone can sell them with any ingredients. With Young Living, I can trust that I’m getting pure, therapeutic grade oils. No fillers are ever added. Before purchasing essential oils, be sure to do your research to know everything in those bottles. Interested in essential oils? That is AWESOME! 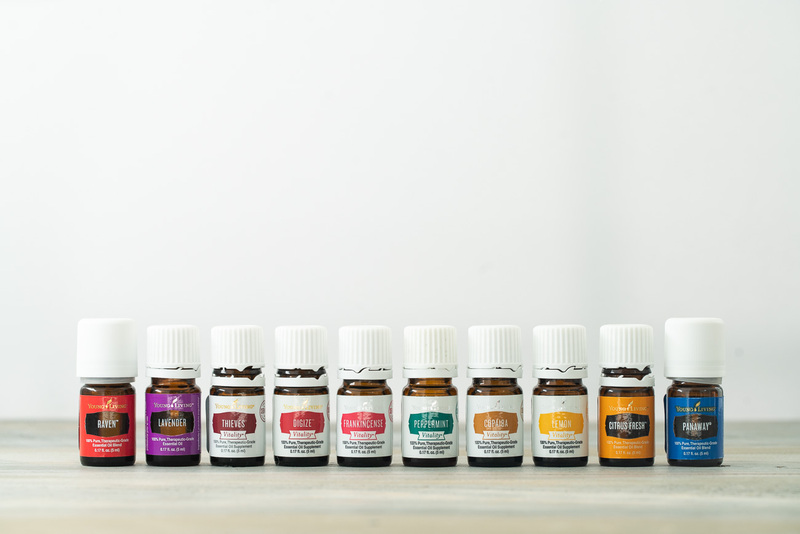 I’m so excited to hear about all the amazing ways these oils will be used in your home! You have two options when you purchase Young Living products: Retail or Wholesale. Retail is purchasing items at full price. Wholesale is available when you become a member, saving you 24% on all YL products. Once a member, always a member, you just have to spend $50 a year in order to keep your discount. How do you become a member? You purchase a starter kit. A starter kit comes with a diffuser, 11 different oils and so much more. Even if you don’t want to sell oils or ever intend to, you should still purchase wholesale, because, hellooo discount! Click here to sign up as a Young Living member. By signing up, you are joining my team, which is SO exciting. Have questions? Please don’t hesitate to email and ask away: asst@angelalanter.com. Once you sign up for my Young Living team, you are automatically added to my oils newsletter and get access to a private (awesome!) 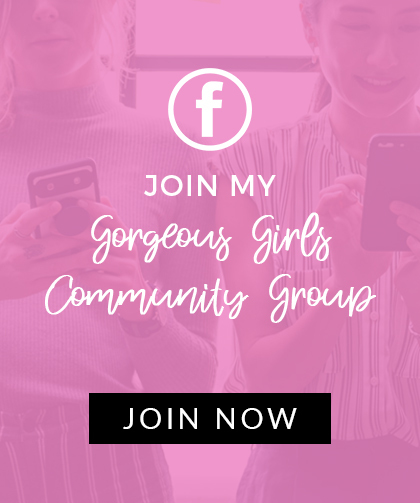 Facebook group.